Raise yo hand if you love a good smoothie! I’ve been suuuper into whipping up all sorts of fun combinations lately. There’s something so amazing about packing so many vitamin + antioxidant + mineral rich ingredients into ONE glowing cup! 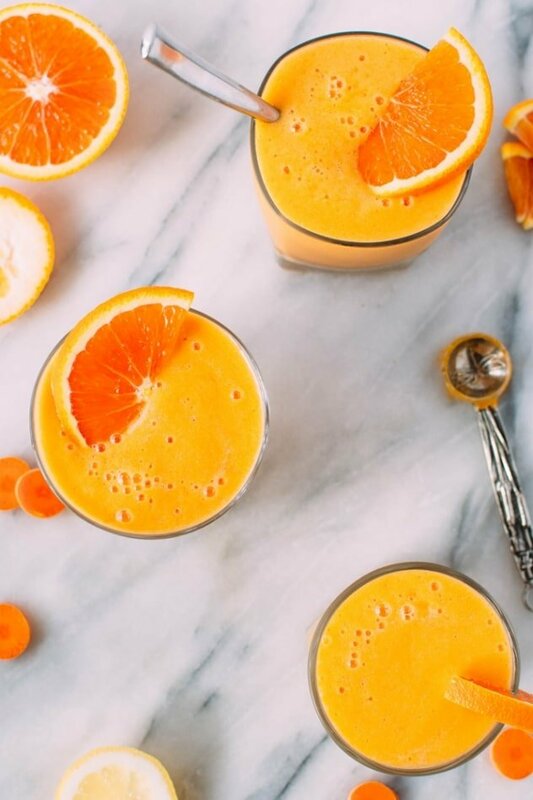 Should we talk about one that packs a serious dose of nourishment like this probiotic turmeric mango carrot citrus smoothie?! As you guys may have seen if you follow me on instagram, I’ve been diving into making my own water kefir lately and I’ve totally fallen in love with the process and end product! Especially when you add a second ferment to the process to make delicious bubbly water kefir soda. 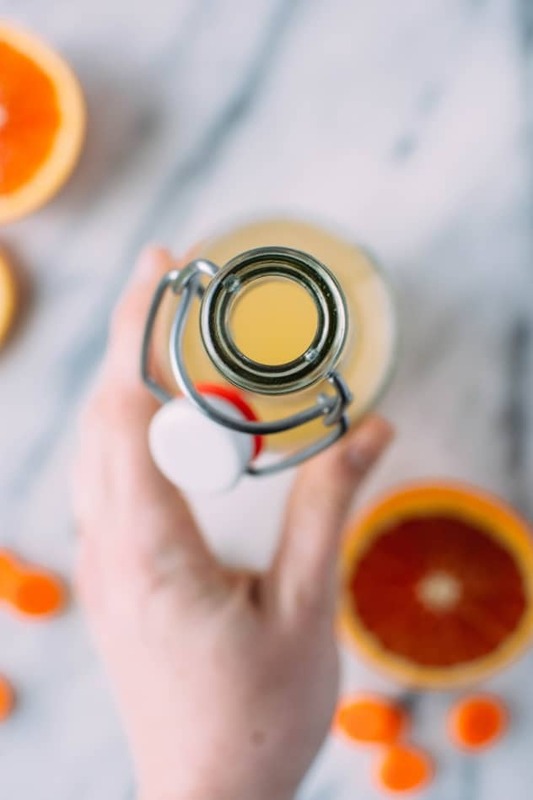 It’s basically a probiotic soda pop that HELPS your microbiom // overall well-being instead of harms it. And the flavor combinations are endless. I’ve got a grape version lined up for my next batch, and may even try one made with fresh mango, too! You guys have been asking some questions about the process so I’m thinking about writing a little tutorial series on how I make water kefir. Is this something you would be interested in learning about? If so let me know in the comments below or over on my instagram or facebook page! So the base of this smoothie starts with water kefir. But don’t turn away now if you don’t make your own at home! There’s lots of amazing store bought options that you could use here, or alternatively equally probiotic rich kombucha would be amazing. 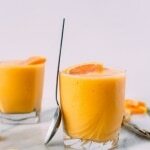 I haven’t tried kombucha with this recipe but I have been indulging in a kombucha smoothie at our local natural foods store occasionally and it’s AMAZING! So I have no doubt that your favorite citrusy kombucha would be perfect here. 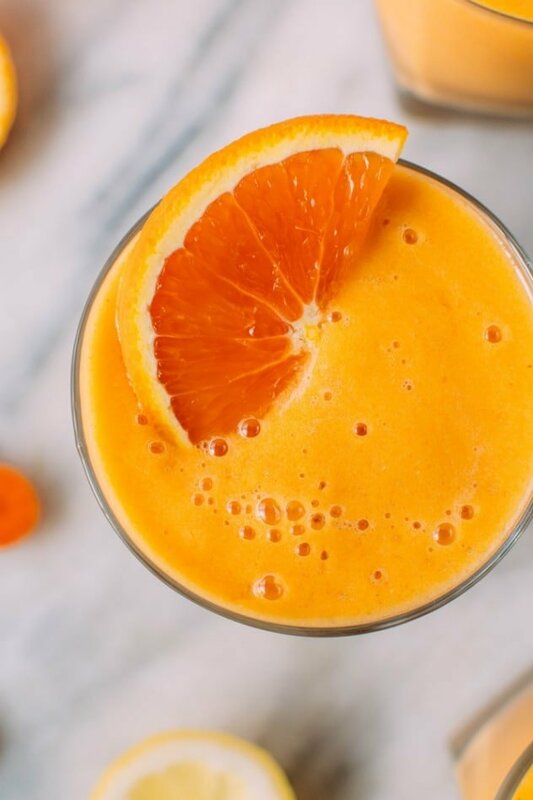 Besides all the lovely orange mango, turmeric, and citrus that this smoothie has in in it, I also decided to throw in some carrots because more veggies in smoothies is always a good thing! 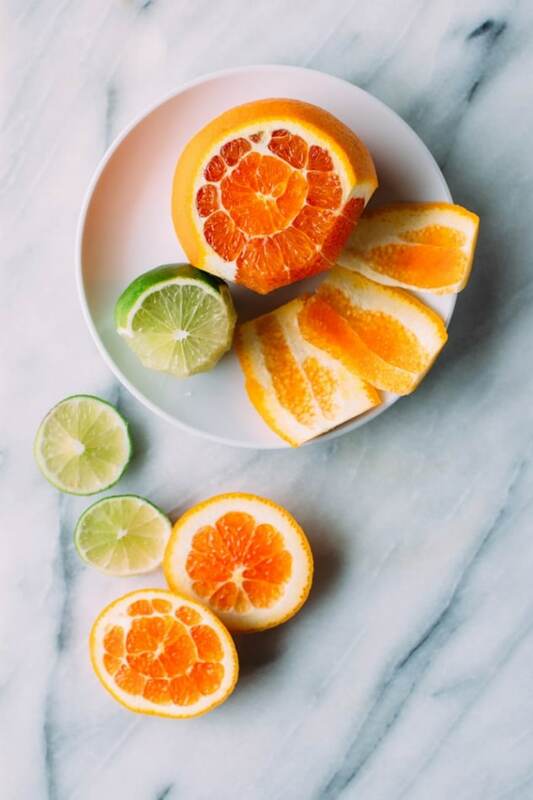 As well as adding another layer of that lovely shade of orange, they also bring a serious dose of vitamins and minerals. 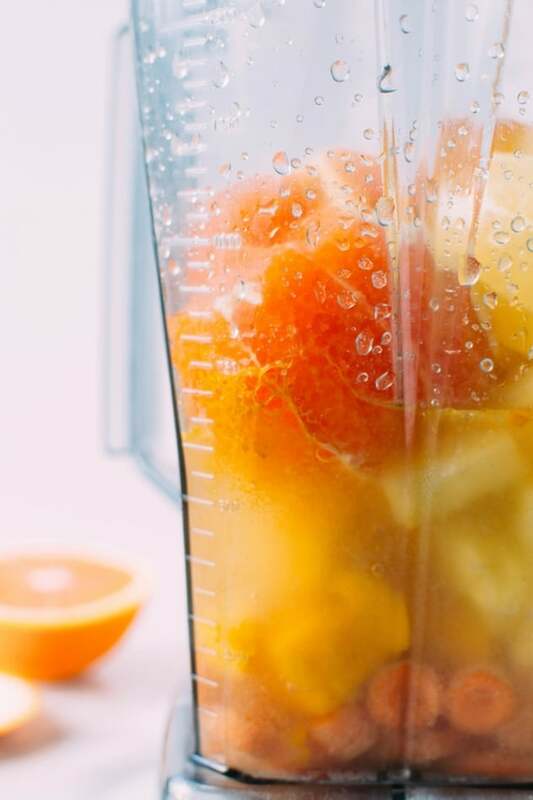 We’re talking a pretty powerful smoothie. Something that you can really feel good about starting your day with or breaking with for a snack! 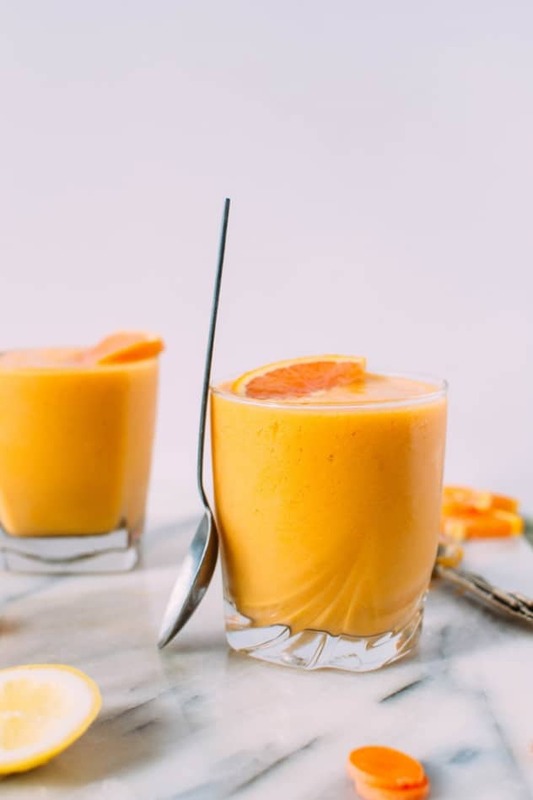 Probiotic turmeric mango carrot citrus smoothie is loaded with vitamins, minerals, antioxidants and beneficial bacteria to get your mind and body off to an extraordinary start every day! Add all ingredients to a blender, carrots and frozen fruit first, then citrus, then turmeric and water kefir // kombucha. 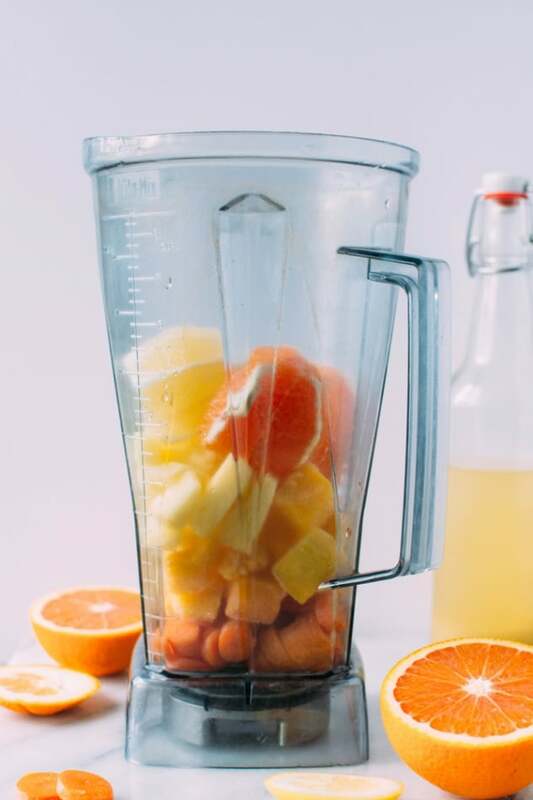 Blend until smooth and serve! 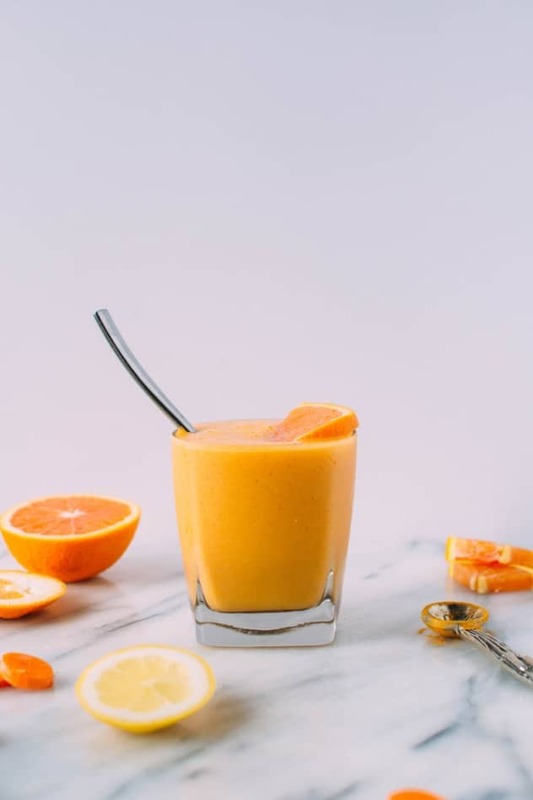 This entry was posted in breakfast, drinks and tagged citrus, drink, easy, gluten free, grain free, healthy, paleo, probiotic, quick, turmeric, vegan, vegetable, vegetarian on April 7, 2017 by Nyssa Tanner.